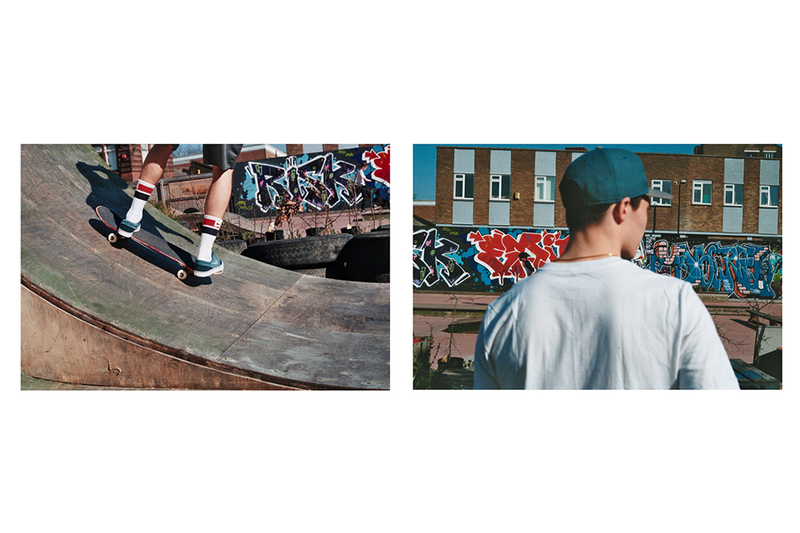 Last weekend we headed to Hackney Wick with London based photographer Carly Scott to hang out in the sunshine and shoot some of our favourite items from this season’s Nike SB collection. 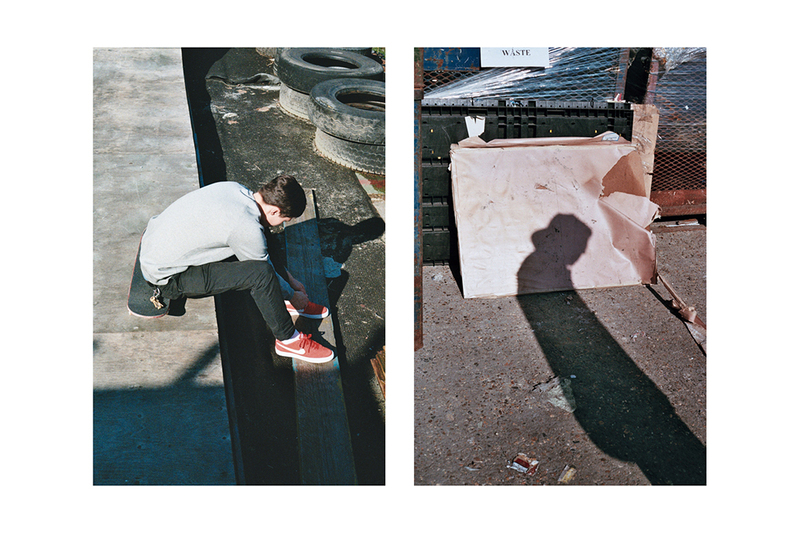 Skateboarding is founded on a backbone of DIY attitude and with this in mind we headed to the heart of DIY culture in London; Hackney Wick. The shoot follows a single skateboarder as he passes the day doing what he loves the most. There’s something about seeing someone skating on their own, especially in a park, that symbolises content and happiness. It’s a mental state that only those who have seen it or experienced itself will know and understand – that guy in the skatepark who’s just doing it for himself, headphones in, rolling around doing what he loves. 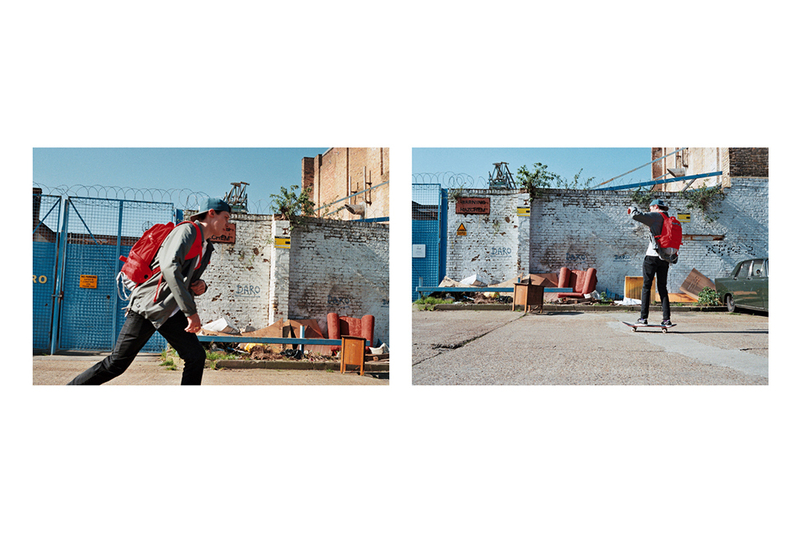 It’s this comfortable singularity that we wanted to capture in this shoot as we followed our model from the backstreets of Hackney Wick to the recently closed Frontside Gardens – the DIY skatepark. 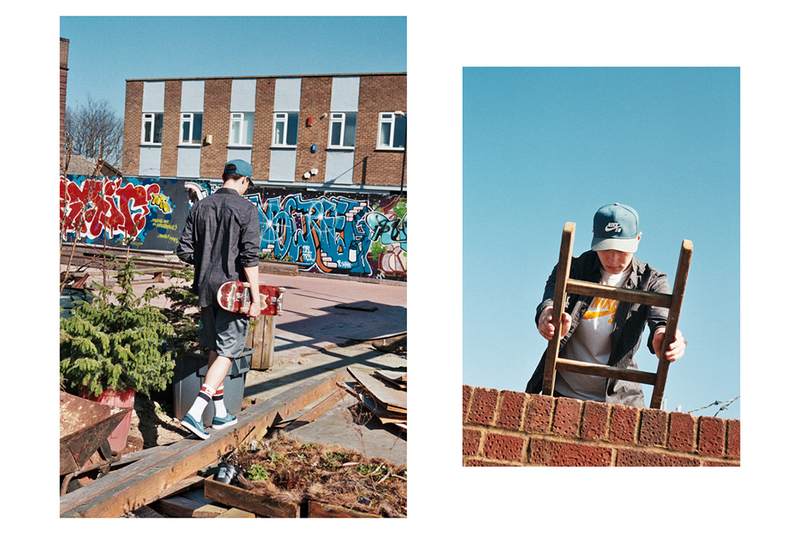 George wears Icon Snapback, Coach’s Jacket, RPM Backpack & Lunar Oneshot shoes by Nike SB and model’s own trousers. George wears Haynes T-shirt by Supreme and Foundation Icon Pullover, Sunday Shorts, Elite Skate Crew Socks & Zoom Bruin SB shoes by Nike SB. George wears Icon Snapback, Killingsworth Woodgrain Woven Shirt, Lizard Camo Fill T-shirt, Sunday Shorts, Elite Skate Crew Socks and Zoom Stefan Janoski Premium SE shoes by Nike SB. George wears Icon Snapback, Lizard Camo Fill T-shirt, Sunday Shorts, Elite Skate Crew Socks & Zoom Stefan Janoski Premium SE shoes by Nike SB. 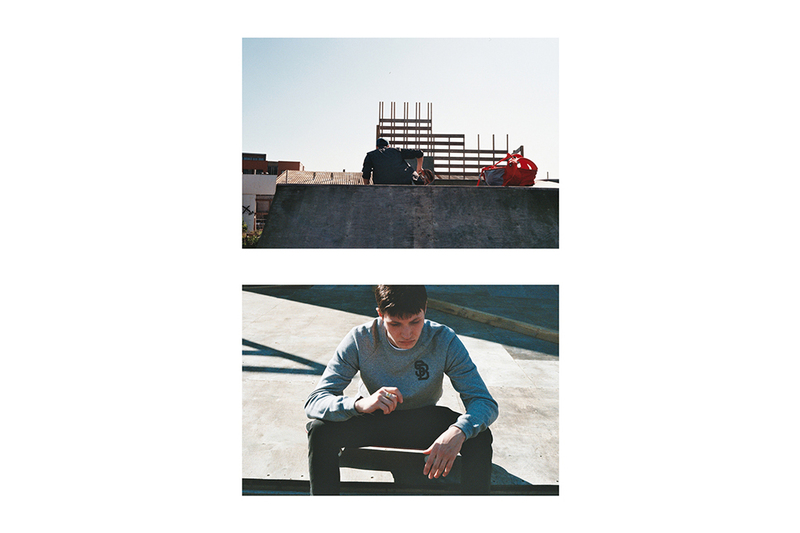 George wears Woodgrain Sweatshirt & Zoom Bruin SB shoes by Nike SB and model’s own trousers. George wears Killingsworth Woodgrain Woven Shirt, Icon Snapback & RPM Backpack by Nike SB [top]. Woodgrain Sweatshirt by Nike SB and model’s own trousers [bottom].